The health situation of the inhabitants of the valley is marked by difficulty of access to quality healthcare and a lack of information and prevention methods related to hygiene. One of the most significant problems in the area is the high rate of maternal and infant mortality due to problems of health care during and after giving birth. There are doctors who care for women throughout pregnancy and midwives too, but they are poorly trained. There is also a lack of clinical material, poor health, and poor access to medication. Many people suffer from diseases related to poor hygiene and sanitation, such as skin diseases, intestinal problems or respiratory difficulties. Many people neglect their personal hygiene and that of their environment, with waste water accumulating in the canals or along the streets through which people pass, hence creating a hotbed for bacteria and viruses. 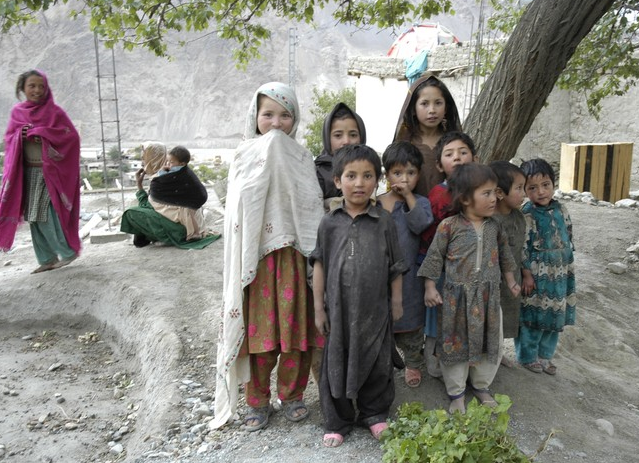 Today the Felix Baltistan Foundation is designing a health programme more oriented to the prevention of diseases and conditions. The lines of work are being developed to improve maternal and child health through the quality training of local health personnel for the women and babies. Training, free of charge, is in areas such as personal hygiene, food and posture and training in nutrition. At the moment we are organising special courses once a month. A doctor and female health visitor have been hired to conduct sessions for men and women to educate them in personal and child hygiene, safe food preparation, home cleaning and community cleaning. The importance of using sun cream was highlighted and demonstrations of how to prepare it using zinc, glycerine and almond oil were held. A three day medical camp in Machulo was organised where a gynaecologist visited and examined several women who were close to giving birth. Other cases were referred to child specialists, eye specialists, ENT specialists and other doctors. Free medicines were provided to those local people who needed them..